STICKY: !!! 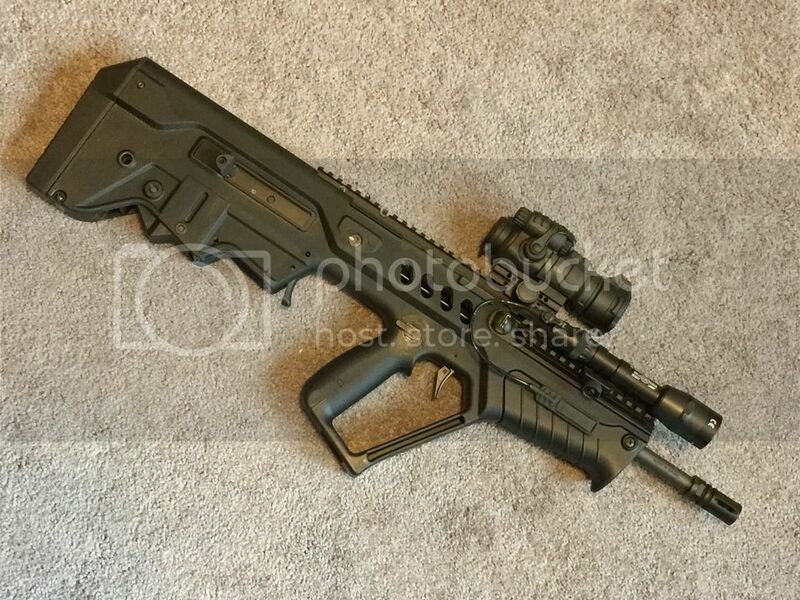 Official Tavor Picture Thread !!! Re: STICKY: !!! 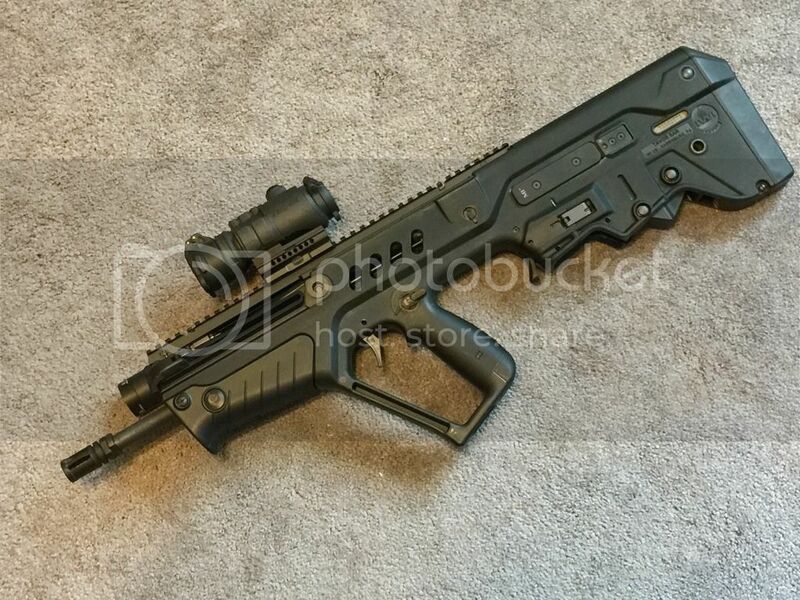 Official Tavor Picture Thread !!! Just registered to the site, and this is my very first post. This was my early b-day gift from my wife over the weekend. 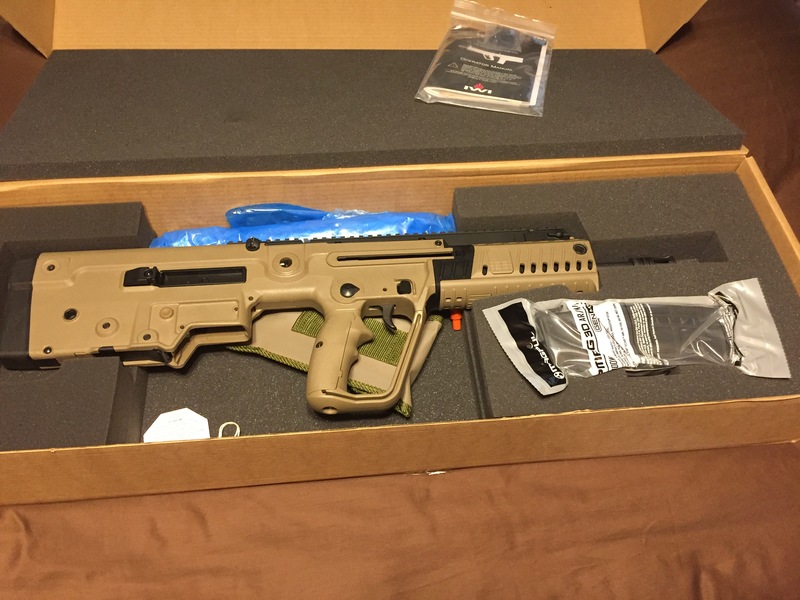 It has been on my wish list ever since the original Tavor came out, and now it is sitting proudly in my gun safe. It will be even nicer once the Savvy Sniper sling and Epsilon comp arrive for it. X95-S SMG full auto 11 inch barrel suppressed. 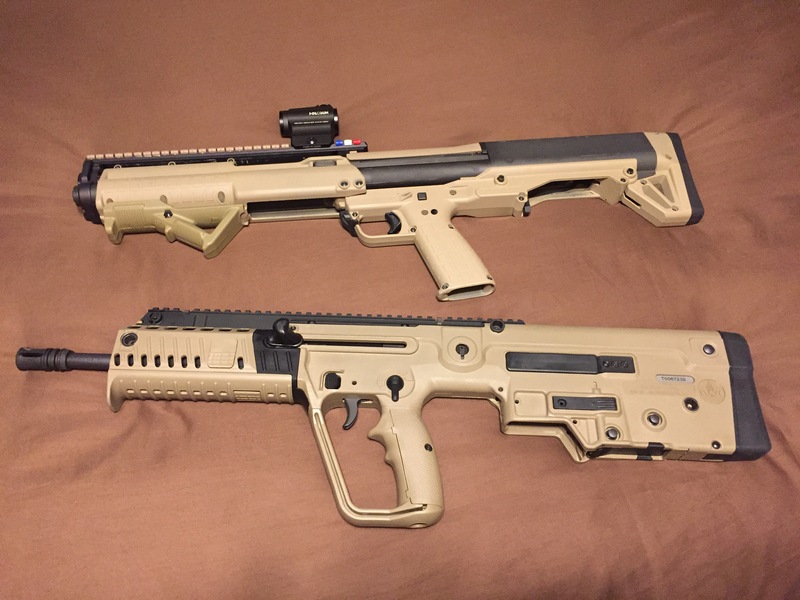 Sweet X95 bullpups. Are these standard IDF versions? 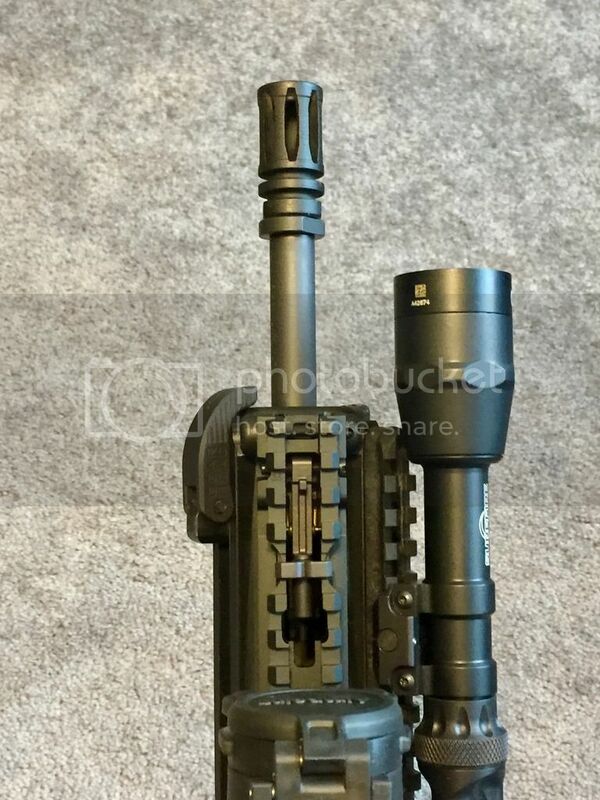 What make of suppressor is that? What are your thoughts/solutions on the gas blow back that most American users complain about? 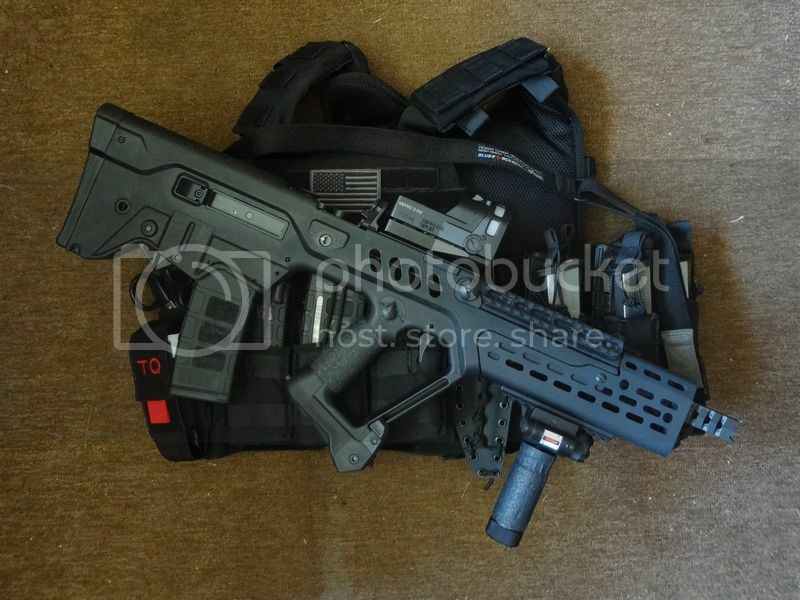 Heres My baby, Tavor B16 in FDE with Gear Head handgaurd, Primary Arms Flashlight with pressure switch, Manticore Arms folding charging handle, Geissele Super Sabra block and Long bow trigger, Midwest Industries ejection port cover, FAB defense Bipod, Aimpoint Pro red dot, Primary arms 3x Magnifier on American defense swing off mount. 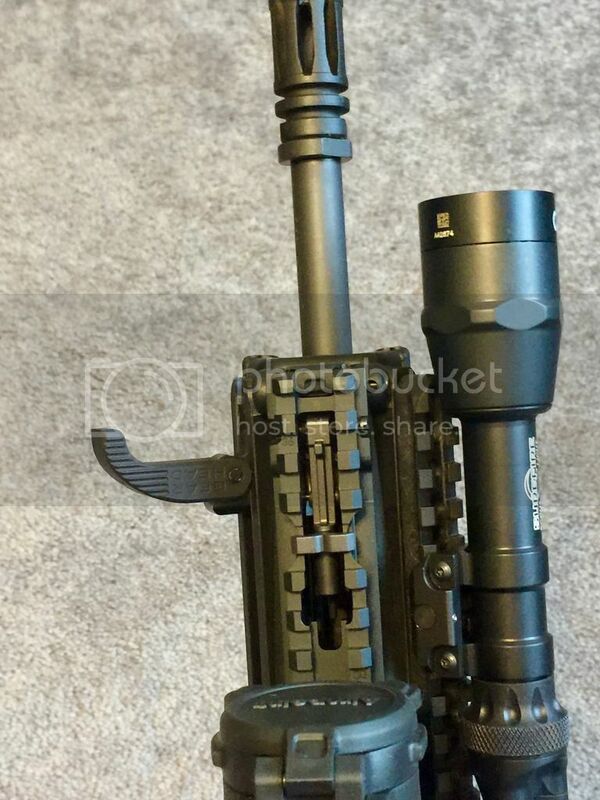 That's a GHW charging handle not MA. Sure enough, I gotta stop swapping stuff all the time! 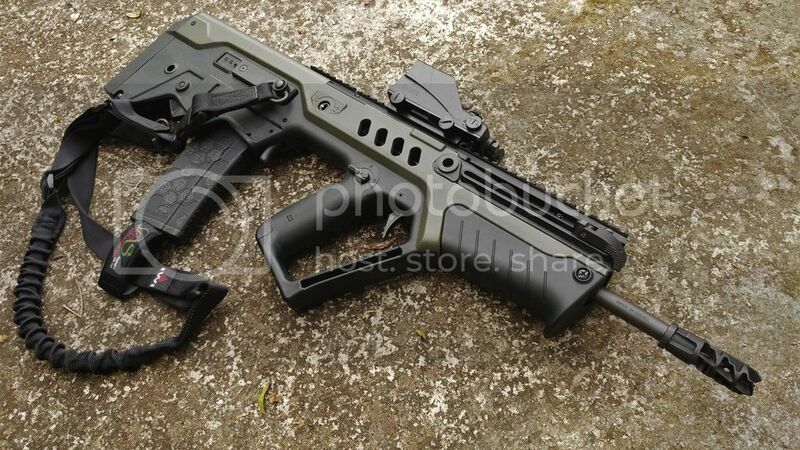 Love my IWI Tavor. IDF version tricked out. Chopped my underside rail cover to fill the gap to the new foregrip. If anyone wants to sell a green rail cover set. Please pm me. ...I am a happy camper.